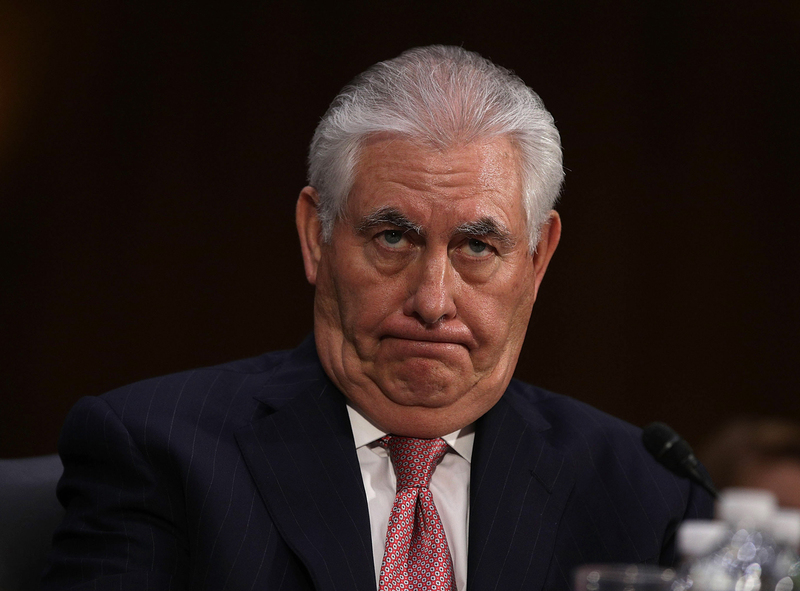 Rex Tillerson testifies before the Senate Foreign Relations Committee during his confirmation hearing for secretary of state, on Capitol Hill in Washington, D.C., January 11, 2017. There is a certain irony when a U.S. envoy travels to Africa to warn his hosts about the dangers of borrowing money from China. The United States, after all, is the world’s most indebted country and borrows more from China than any other nation in the world. In fact, China owns more than a trillion dollars of U.S. debt, nearly 20 percent of Washington’s $6.3 trillion of outstanding debt owned by foreigners. Upon his return home, U.S. Secretary of State Rex Tillerson was fired by his boss, President Donald Trump, who sent him to Africa in the wake of his own profane outbursts about some immigrants to the U.S. and their African countries of origin. So while it may seem obvious that the former Exxon CEO was probably not the best person to lecture other countries on the merits of fiscal discipline, that apparently was not the case during his most recent visit to Africa. “It is important that African countries carefully consider the terms of those agreements (with China) and not forfeit their sovereignty,” said Tillerson at a press conference in Addis Ababa midway through his five-nation African tour. Tillerson speculated that if a Chinese-financed loan “gets into trouble,” the African borrower could then “lose control of its own infrastructure or its own resources through default.” He did not provide any evidence to support this assertion. The issue of Africa’s surging debt levels is indeed an important concern, and there is some validity to the concern that when any country, large or small, borrows too much money then sovereignty issues can arise. The main point here, though, is whether the United States, given its own massive indebtedness to the Chinese, is well-positioned to make this a central focal point of its engagement strategy in Africa. Brooks Spector, for his part, doesn’t think so. The Johannesburg-based former U.S. diplomat is now an Associate Editor at the Daily Maverick newspaper, one of South Africa’s most well-respected publications, where he writes extensively on U.S.-Africa politics. Brooks joins Eric to discuss the politics of debt and what would turn out to be Tillerson’s swansong in the Trump administration.